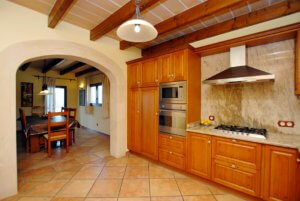 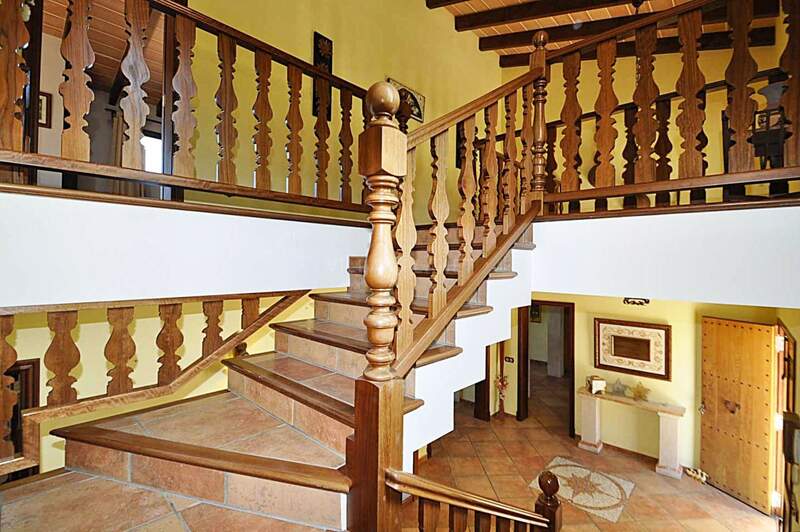 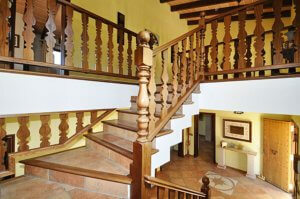 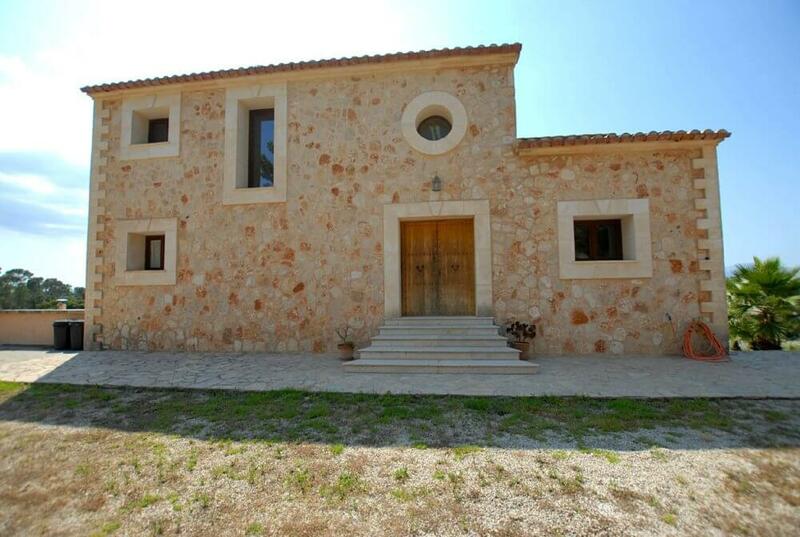 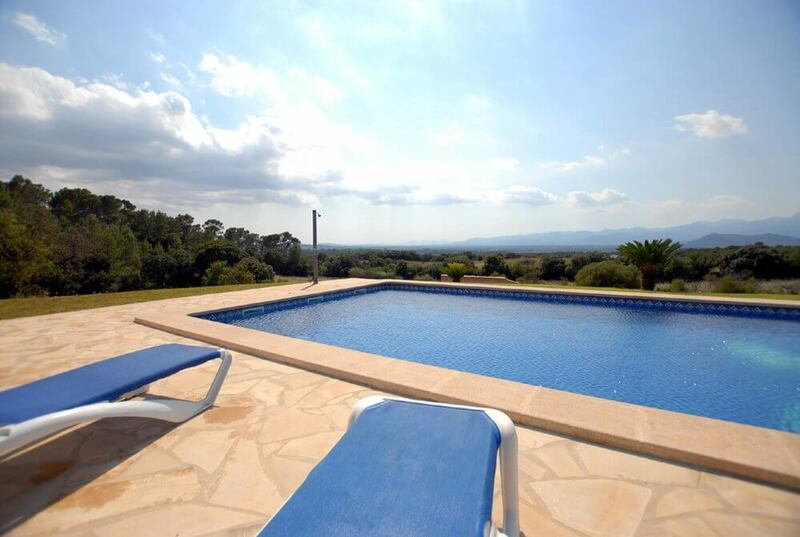 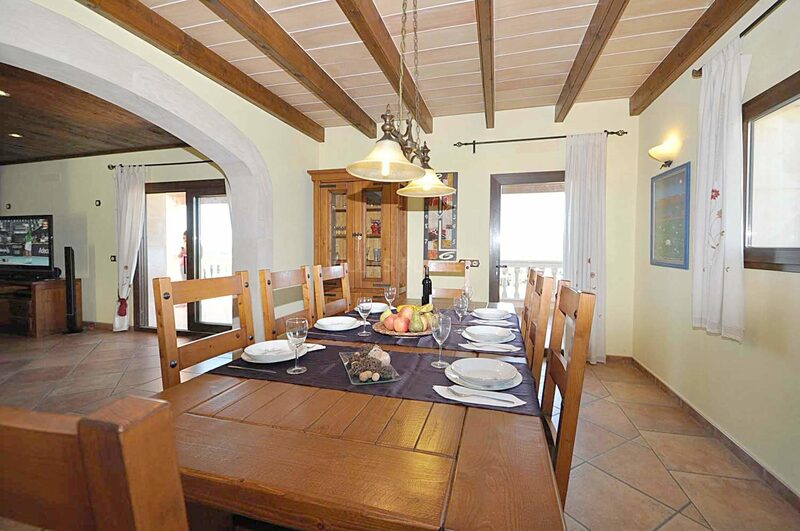 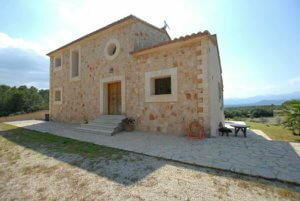 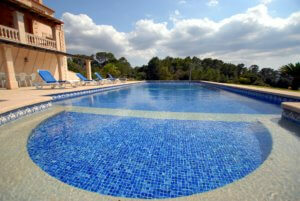 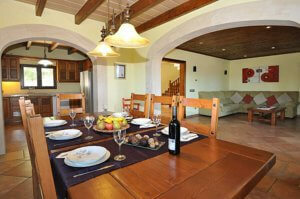 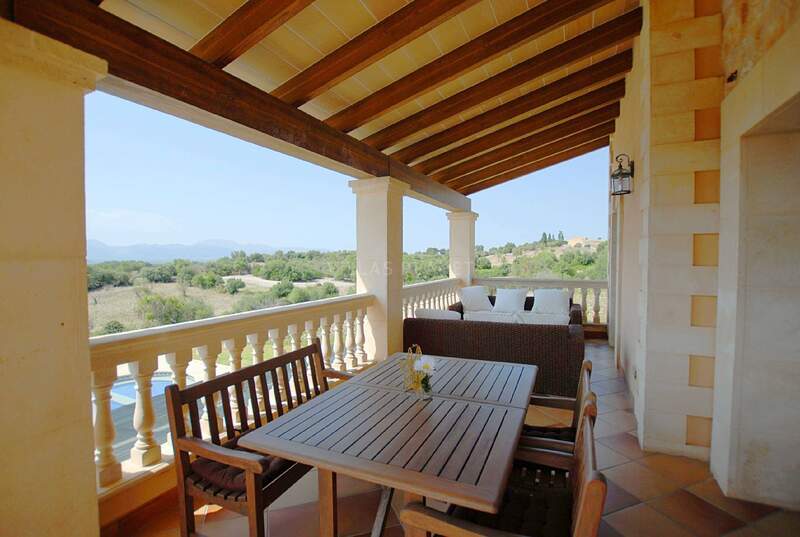 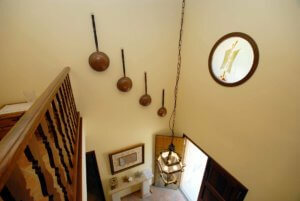 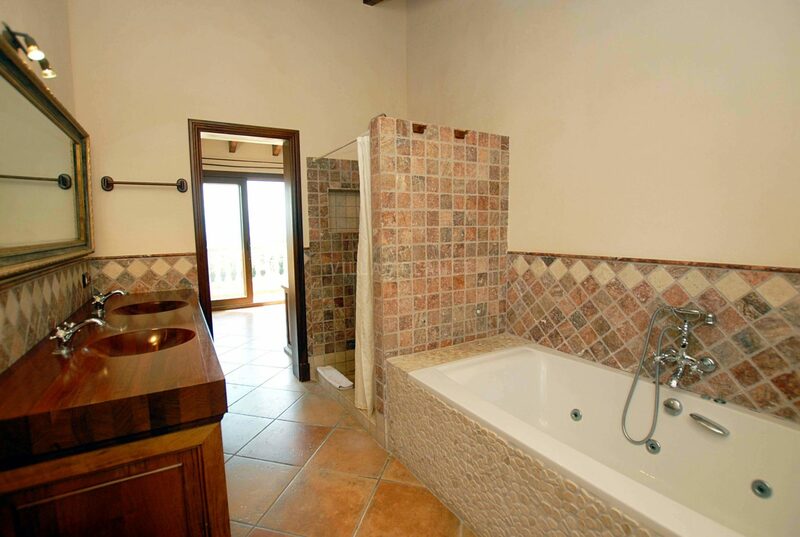 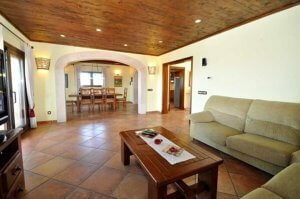 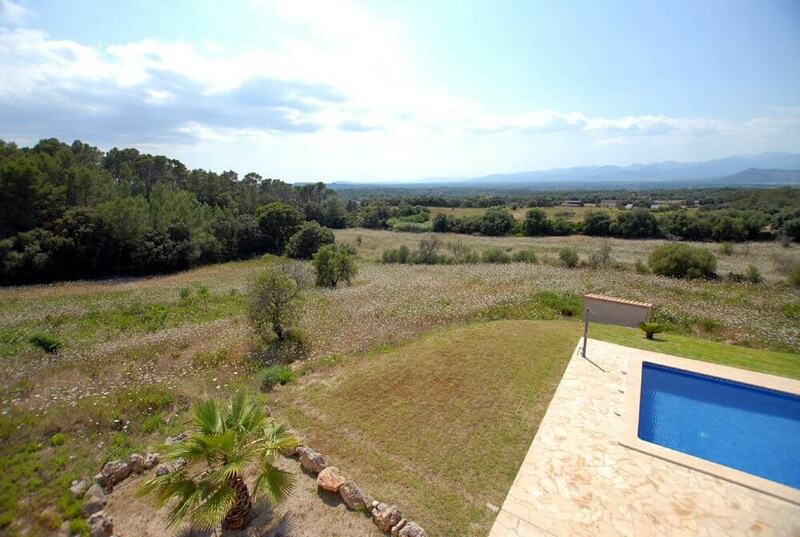 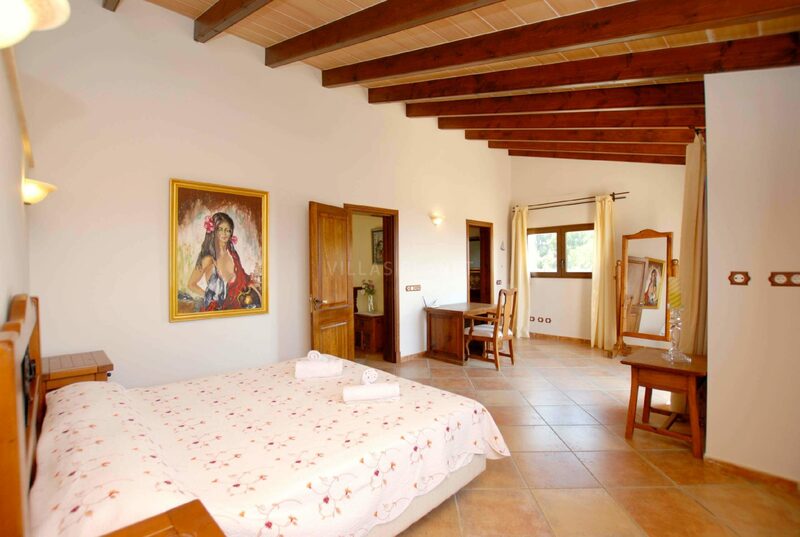 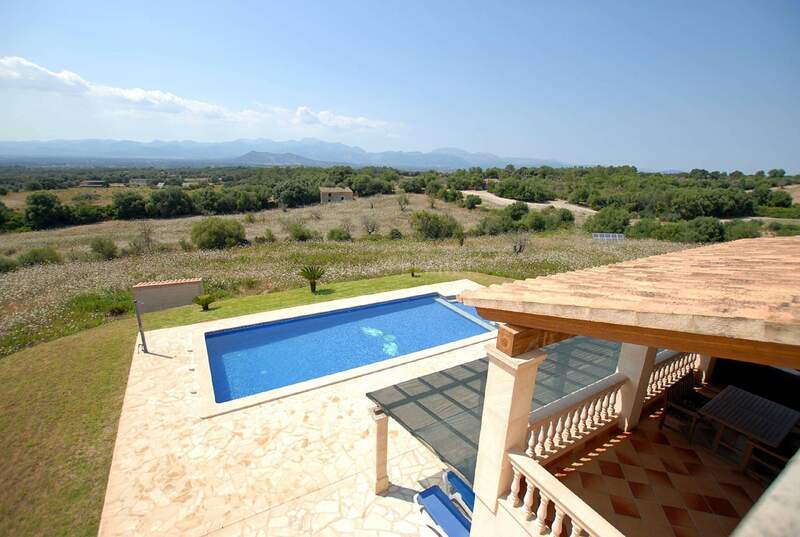 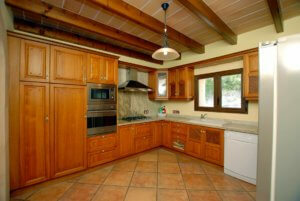 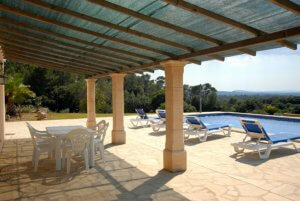 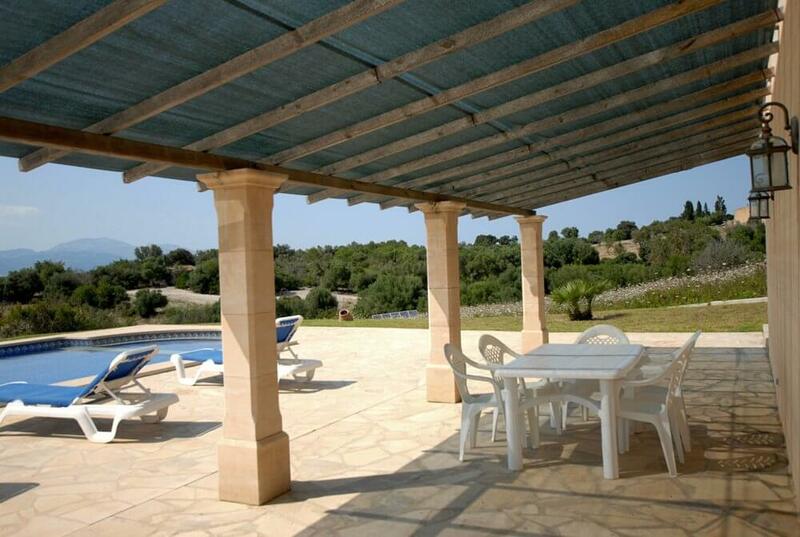 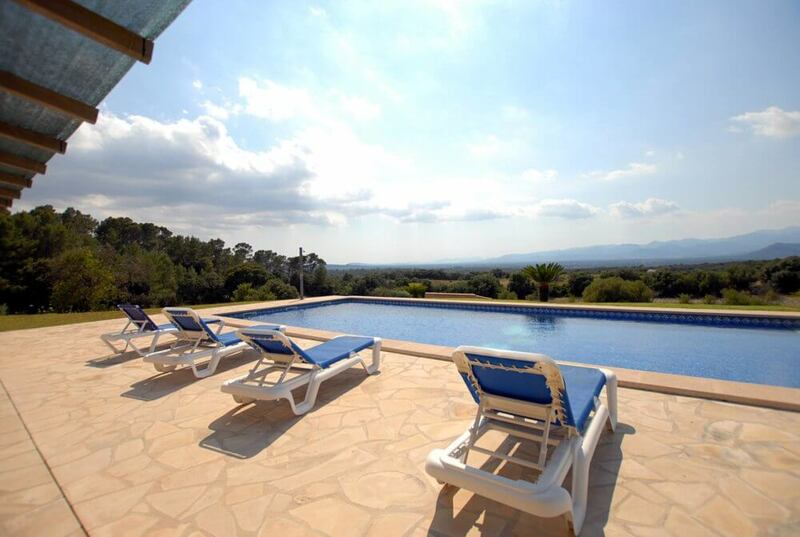 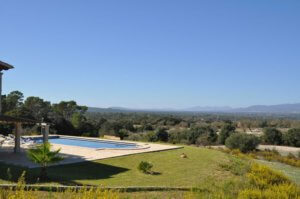 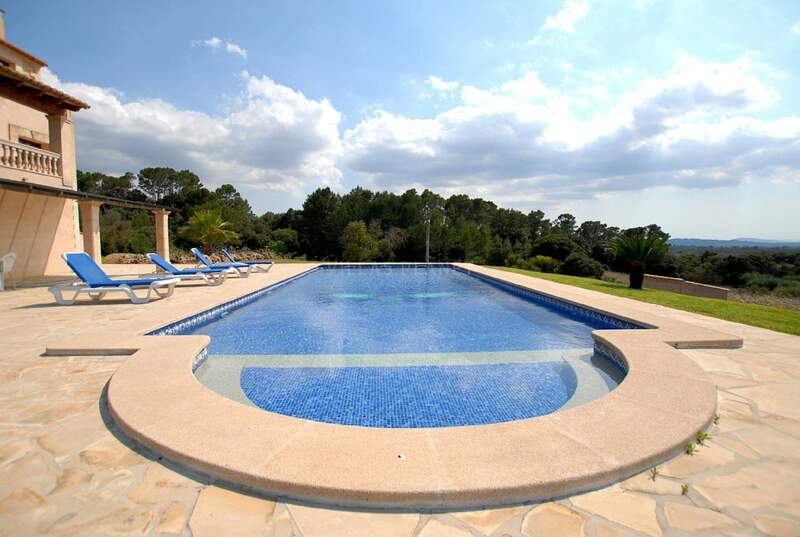 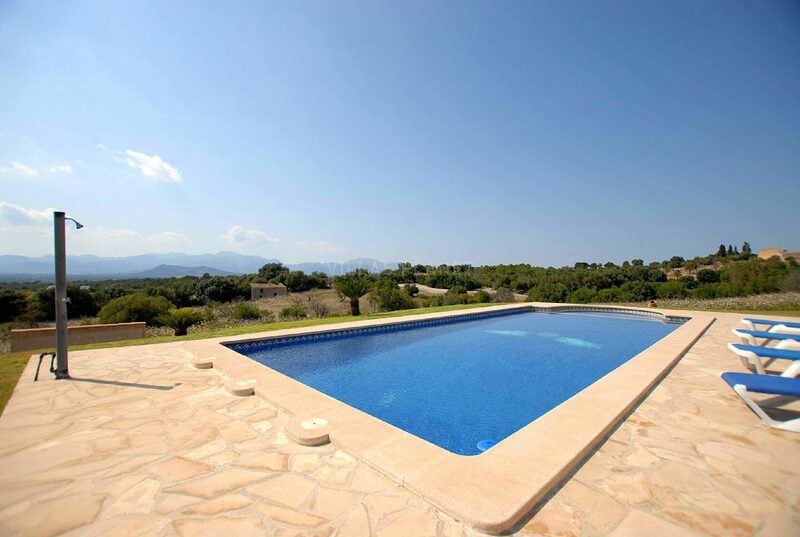 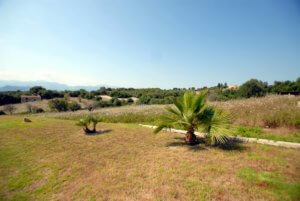 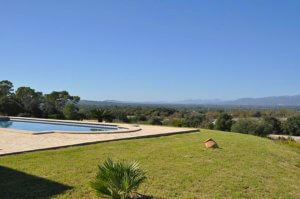 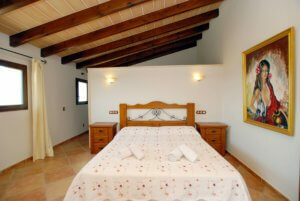 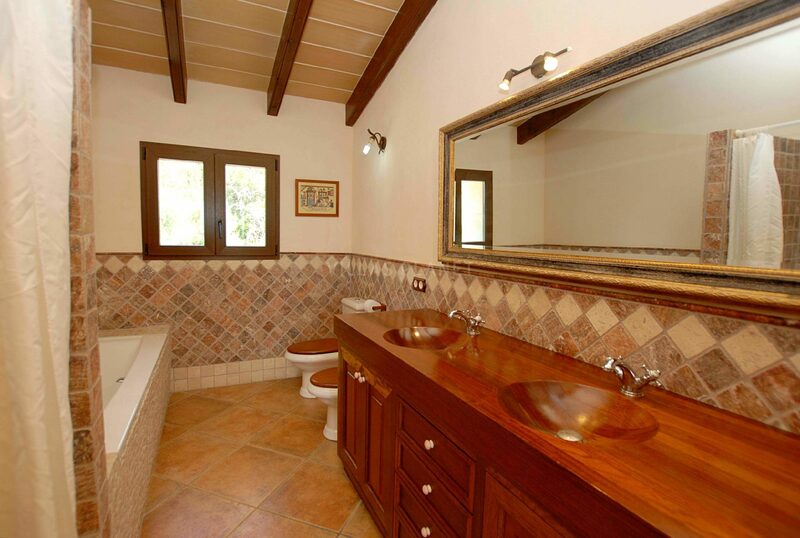 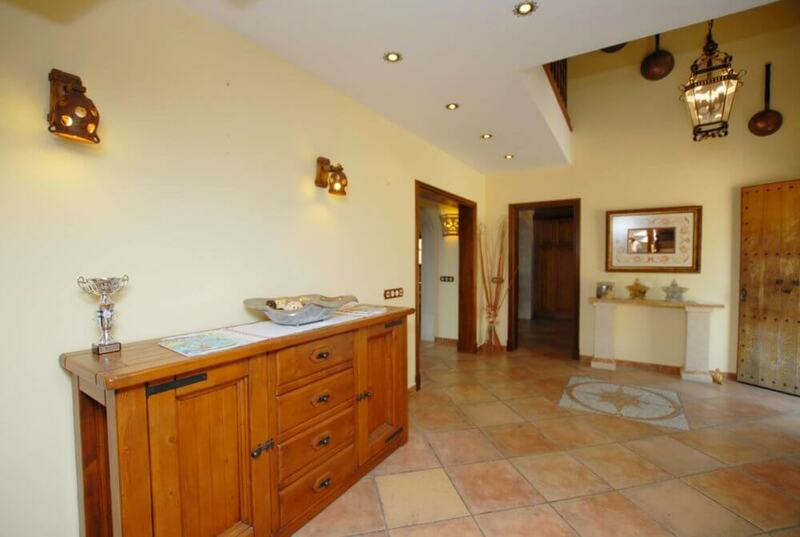 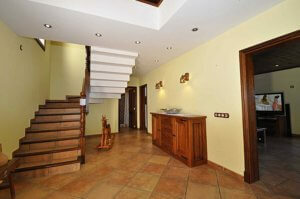 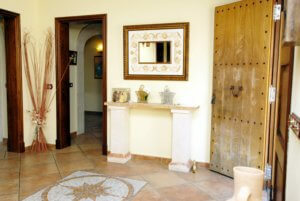 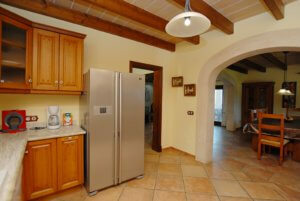 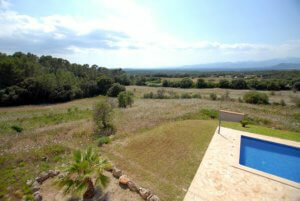 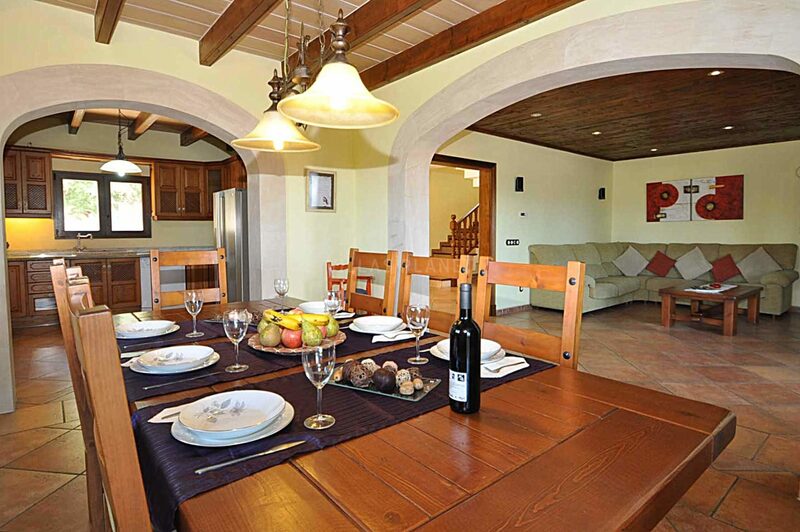 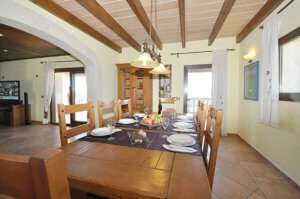 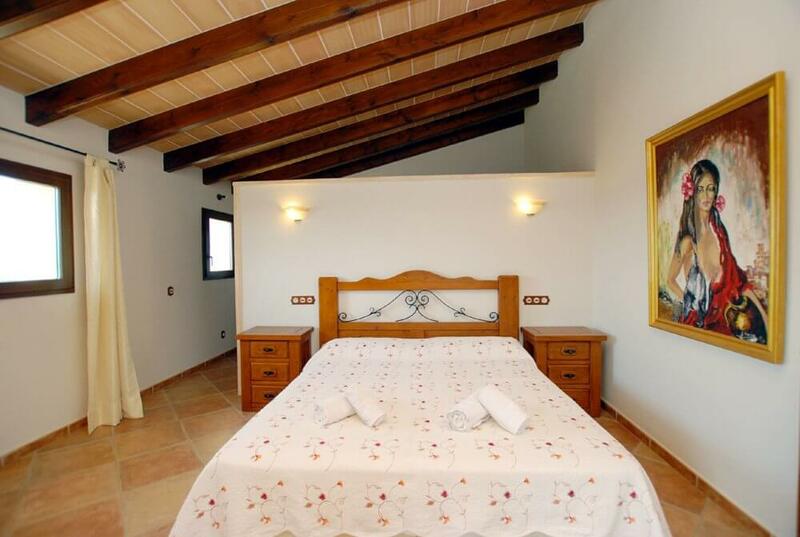 Finca with pool, gardens and panoramic views of Tramuntana mountains. 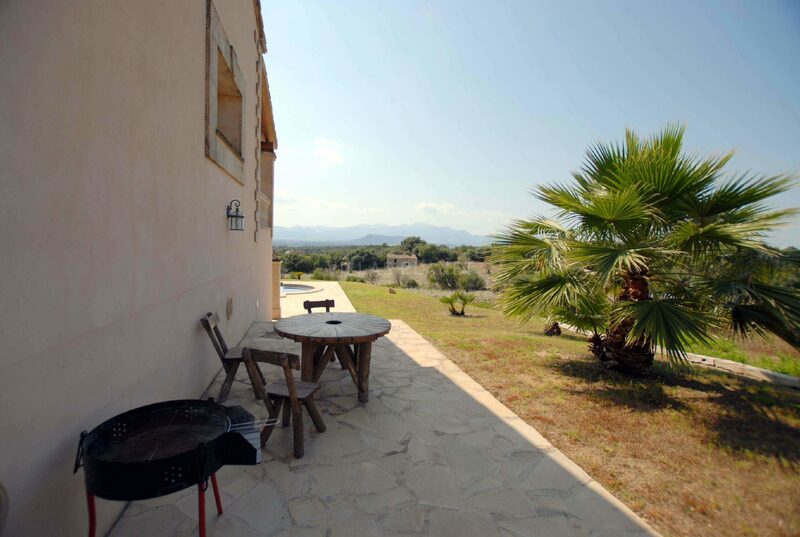 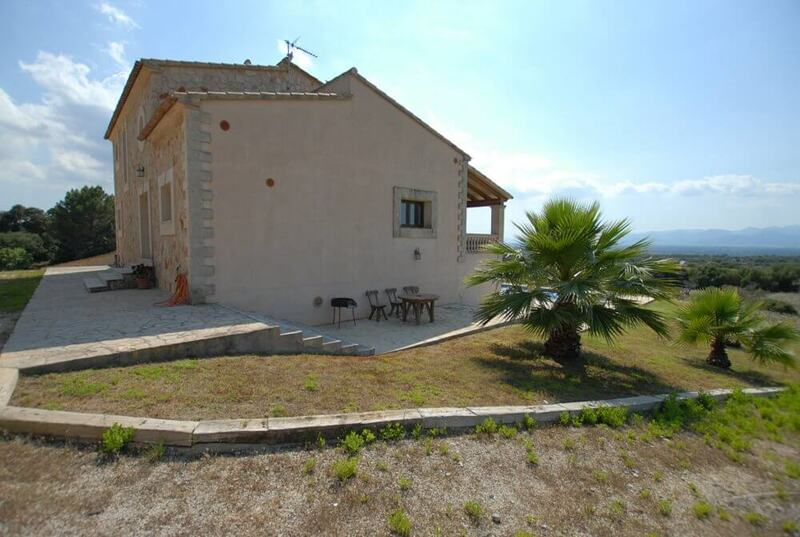 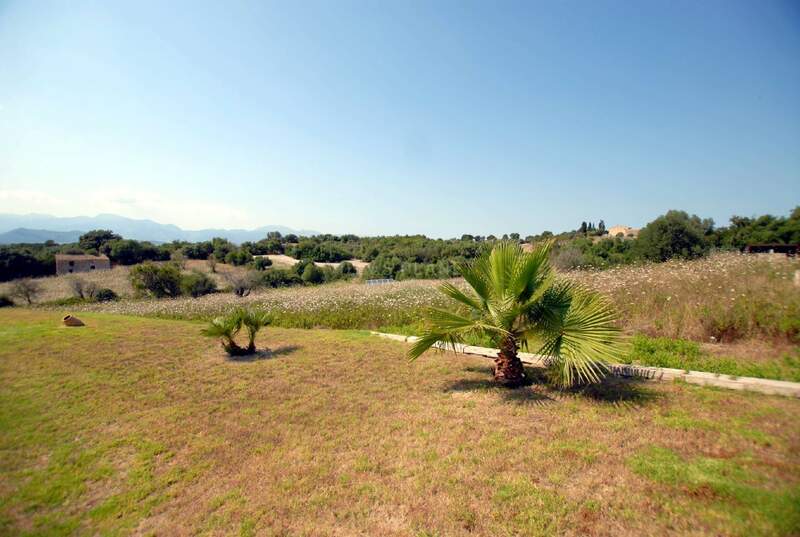 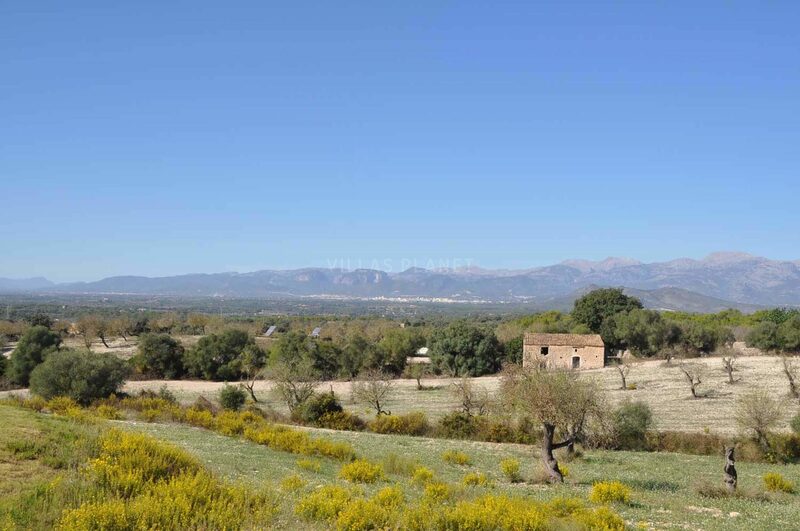 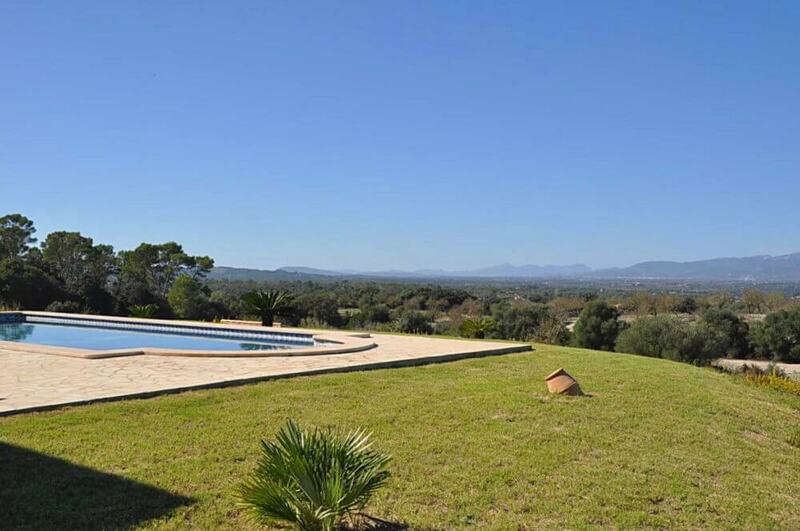 The property located by the outskirts of Llubi to Sineu, in a very quiet area, secluded and with open&clear views to the mountains. 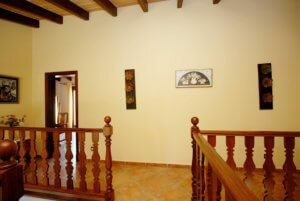 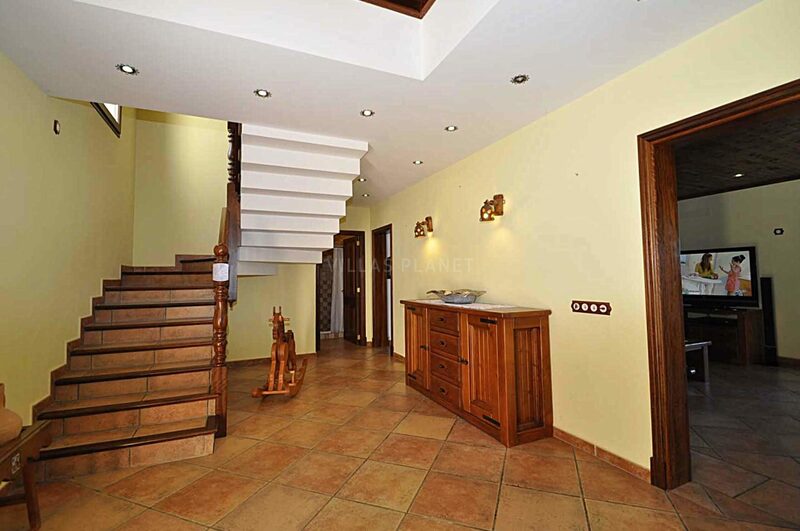 The house comprises of two floors. 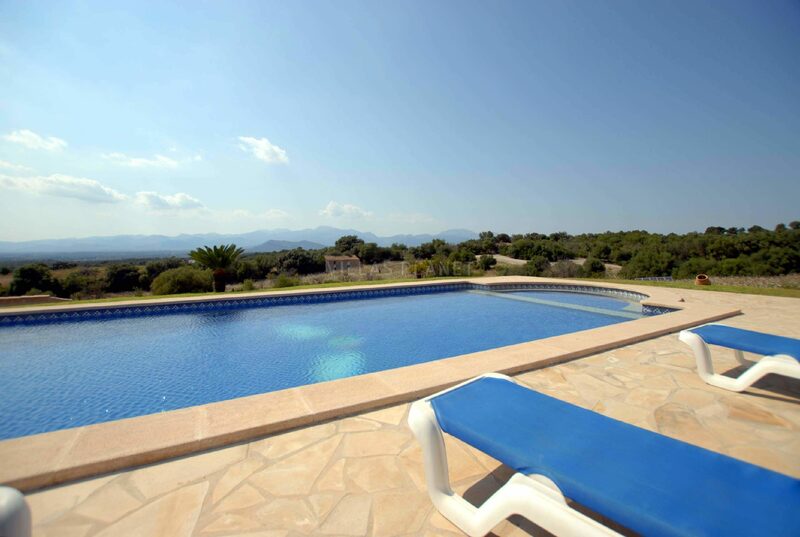 On the groundfloor there is a receiving area, a double bedroom, full bathroom, fully equiped kitchen, lounge, dining room and covered porch iwith direct access to the pool.On the top floor you is the master bedroom with dressing room and en suite bathroom and terraces with nice views over the pool and the garden. Possibility of extending the entire floor inside at the same level as the pool terrace, currently planned; Ready to distribute on the interior access stairs, living room with windows, 2 bedrooms 2 bathrooms and laundry. 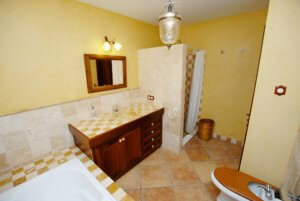 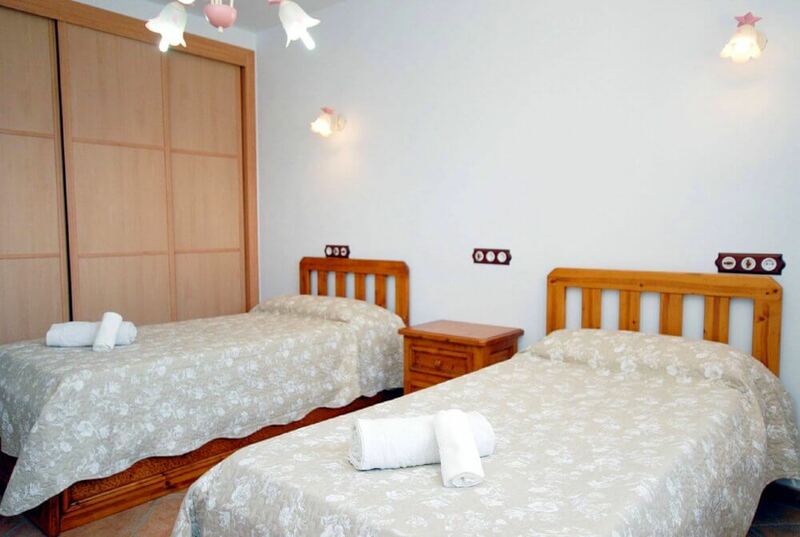 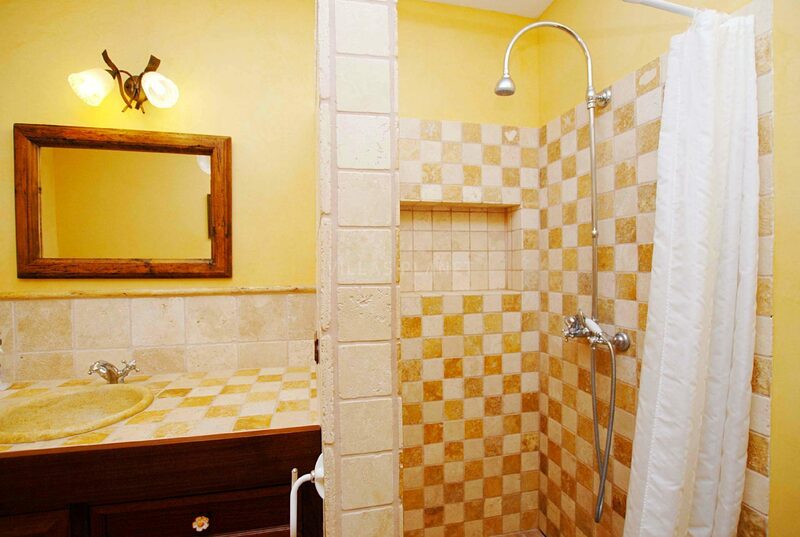 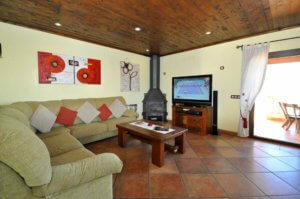 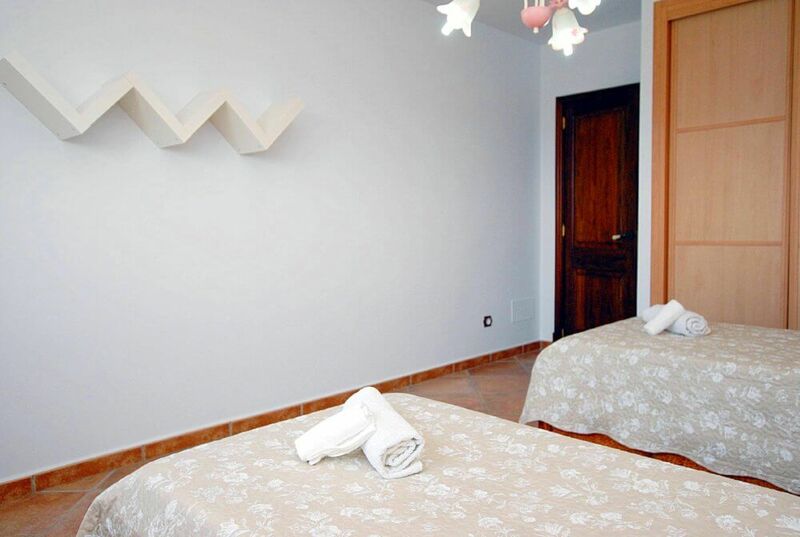 With active tourism license for holiday rental.